Pregnancy and new motherhood can be a time of wonder and joy, mixed with exhaustion and the usual worries about raising a tiny new human. And most new moms (about 80 percent) will get the baby blues – a two- to three-week period of feeling sad, weepy, or just emotional after delivery. Up to 20 percent of all pregnant women and new moms will develop a perinatal mood or anxiety disorder (PMAD) that requires treatment. These include postpartum depression or anxiety, obsessive-compulsive disorder, and (rarely) postpartum psychosis. Certain factors can increase a woman's risk of developing a PMAD, and the risk factor at the top of the list is living in a low socioeconomic strata (low-SES). This umbrella term, used by economists and psychologists, encompasses more than just having a low income. It also includes not having completed high school or higher education and employment status (not having a job or only working part-time), as well as an increased likelihood of raising a child alone. All these factors add stress to the innate challenges of new motherhood and put women at greater risk of developing a PMAD. "For women in low-SES, PMAD prevalence ranges from 25 percent to 40 percent," says Catherine Monk, PhD, associate professor in the department of psychiatry at Columbia University Medical Center and a researcher who has studied psychiatric disorders in pregnant women and new moms and is also a member of Seleni's advisory board. It's an alarming statistic, and experts say we need to be doing much more to identify and effectively treat these women and support their families. Why the huge risk of PMAD for low-SES women? Researchers think it has to do with the stress of having limited finances and a lack of social support during pregnancy and new motherhood as well other struggles that are statistically more common in low-SES households (such as domestic violence or a history of abuse). "There are psychiatric disorders that are mostly biologically based, such as bipolar disorder, but in the case of depression and anxiety, things like stress and social support are very strong influences," says Laura Miller, MD, director of Women's Mental Health at the Edward Hines, Jr. VA Hospital and professor of psychiatry at Loyola Stritch School of Medicine. 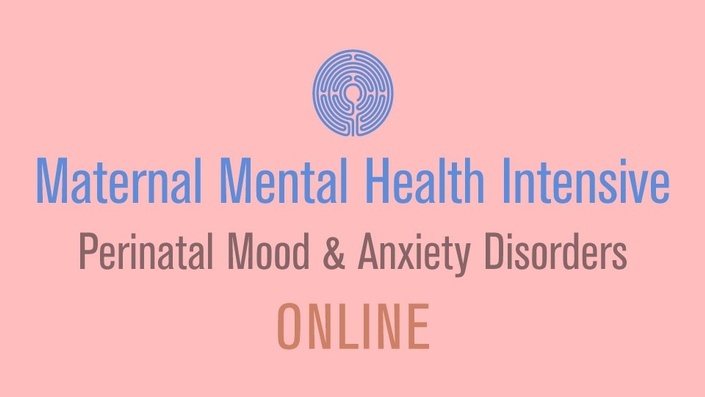 When you consider all the obstacles of life with limited resources, it's not surprising that rates of perinatal mood disorders are higher for women living under these circumstances. "Think about the stress of anticipating having a baby and juggling work or school obligations if you're trying to complete a degree, maintain your social relationships, and take care of yourself – and you don't have a lot of material resources or help to do that," says Dr. Monk. After delivery, new stresses are often added. Many low-wage jobs do not offer paid maternity leave, so many women have to go back to work right away. A new mom is not sleeping through the night and has even less time to take care of herself. Friends whom she might turn to may also be struggling, and asking them for help will mean necessitate returning the favor at a time when a woman has zero left to give. So many go it alone. And when so much of new motherhood feels like a struggle, it can be hard for a woman to know if what she is feeling is expected stress or symptoms of a mood disorder that needs treatment. That's why screening is important. New Jersey is the only state that currently requires screening for PMADs, and 12 other states have laws encouraging screening. This past January, however, the U.S. Preventive Services Task Force recommended depression screening for all pregnant and postpartum women, so experts urge women to ask for one even if it is not offered. "Screening is important, and it's happening in many settings, but the next step – an assessment that leads to a diagnosis – is much less likely to happen, and getting treatment is even less likely," says Dr. Miller. "It's like someone telling you that you have high blood pressure, but then not being given a referral to a doctor for treatment,” says Dr. Miller, whose own research shows that when a doctor evaluates a patient who screens positive for depression and discusses the diagnosis and treatment options, the percentage of women who enter treatment dramatically increases. Ideally a woman is screened by a fully trained medical professional, assessed, and treated at the same time and place, a concept known as an integrated care setting. It's helpful for all women with a PMAD, but it is especially critical for low-SES women because they face limited resources when it comes to transportation, time, and money. Getting health care – ob-gyn, pediatric, mental health – in one place means women are more likely to make and keep the appointment. A few locations around the country are making strides in helping women most at risk. In collaboration with the Texas Children's Pavilion for Women (TCPW) in Houston, Texas, two clinics in low-SES communities screen all pregnant and postpartum women for depression and anxiety in an effort to improve early recognition of maternal depression and increase access to treatment. One of their strategies: To have the pediatricians who treat babies during well-child visits do screening. “Pediatricians see mothers multiple times during the baby’s first year of life, when a woman is most at risk for developing post-partum depression, whereas ob-gyns usually see women once after delivery,” says Haley Jackson, senior project manager in women’s services at TCPW. In addition to training pediatricians and ob-gyns to screen for maternal depression, The Women’s Place (which is part of TCPW) has hired a psychologist and social worker to compliment the existing psychiatry services offered. At the clinics where the pilot program is underway, staff have hired behavioral health counselors (with an emphasis on racial and cultural diversity), extended their hours until 11 p.m. to accommodate working women, and hired psychiatrists to prescribe pharmaceutical treatment when needed. The clinics accept Medicaid and offer discounts as well as free treatment for those unable to pay. "We try to do all of the appointments at the same visit," says Stephanie Chapman, PhD, a psychologist at The Center for Children and Women. "If they are screened and assessed during an ob-gyn or pediatrics appointment and found to score high for depression or anxiety, we try to get them into a behavioral health appointment at that same visit," says Dr. Chapman. "It's one less trip a woman has to make and one less co-pay, which is vital for economically distressed families." The proven treatment options for PMADs are interpersonal therapy, cognitive behavior therapy, and medication or a combination of medication and therapy. Medication can be a harder sell in low-SES communities say experts. "When we first opened our clinics several years ago, we thought a lot of women would see the psychiatrist for possible medication, but it was a no go," says Lucy Puryear, MD, medical director of The Women's Place – Center for Reproductive Psychiatry, who oversees the Houston clinics pilot program. “Our behavioral health team continues to recommend that patients consult with a psychiatrist to learn about benefits of medication, but patients often don’t follow up,” explains Chapman. Dr. Puryear says that, in general, the women her clinics serve are reluctant to get mental healthcare for a number of reasons. There are cultural considerations that can impede women accessing care. For instance, Latinas are more likely to seek counseling from clergy than open up to their healthcare provider. "We've had more success referring women to social workers and therapists for counseling." In addition, some women (depending on immigration status or those on public assistance) are concerned that their children could be taken away if they disclose their emotional struggles. When women do receive evidence-based treatment, such as psychotherapy, medication, or a combination, they have an excellent chance of recovery says Miller. "Interpersonal therapy – helping a woman navigate her relationships with others – is key," says Chapman, who explains that depression is deeply rooted in social relationships." For example, a woman who may be isolating herself because of stress can, with encouragement and support, feel more comfortable reaching out to friends, family, or clergy who will help. Conversely, a woman may need to learn how to distance herself from relationships that may be impeding her recovery. "If she's fighting with her family a lot, we will brainstorm strategies to problem solve," says Chapman. Cognitive behavioral therapy, which helps women recognize and counteract illogical or distorted thoughts, is especially helpful with anxiety and OCD, says Puryear. "If a woman can't sleep because she's overly worried about her baby and checks his breathing every 15 minutes, we can work with her to show the risk he'll stop breathing is very low, and then come up with alternative thought patterns that are calming, such as, 'My baby is healthy and knows how to breathe on his own, so I'm only going to check on her X number of times,'" explains Puryear. When women are reluctant to seek or accept treatment, the health of their babies can be a big motivator. "During pregnancy, letting women know that by taking care of themselves they're providing good parenting to their fetus is a powerful message," says Miller, who adds that there's not a lot of public awareness about the effect of stress hormones on the fetus. Aside from finding a clinic that accepts Medicaid or offers low-cost or free care, women can join a support group at a local clinic, church, school, or hospital. "Support groups have mixed results – they tend to have high dropout rates – but they can be useful for helping with cognitive behavior," says Miller. Women can also log on to Postpartum International's site and join an online support meeting. And women should always ask their doctors about low-cost care options. The bottom line, however, is that the healthcare system needs to be transformed in order to catch PMADs across all groups of women. "If I ruled the universe, we would be informing every woman during pregnancy that she may be at an increased risk for PMAD," says Puryear, whose program is successful in screening nearly 100 percent of patients, and whose integrative design is a model for anyone looking to lower rates of PMADs. What else can help: A national database where women can find help when they need it, says Miller. More states are making efforts to establish statewide resource locators, but there is a need for a uniform way for women to look up resources, whether it's hotlines, support groups, clinics or nonprofit or public organizations. The frustration for those in the field is that the knowledge is there, but the political will and the funding is not.